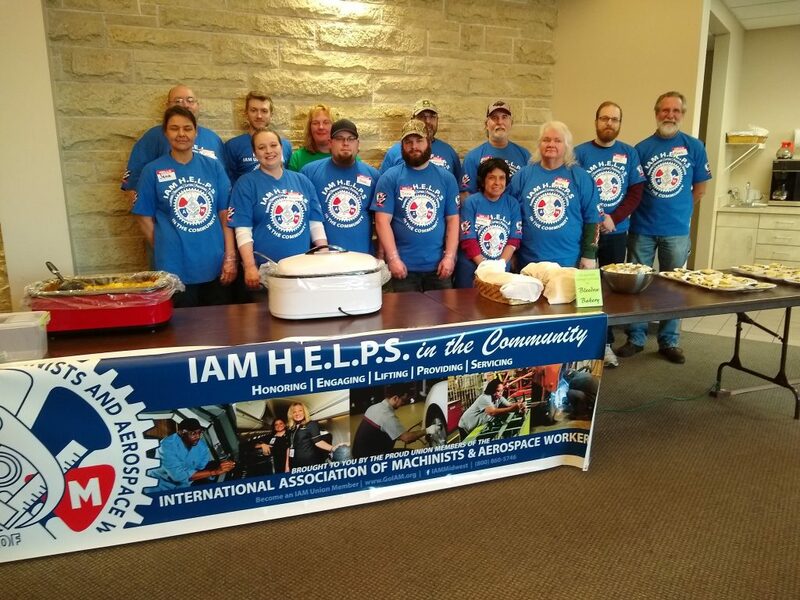 Members of IAM Local 1030 serve a warm home-cooked meal to elderly and low-income residents in Winona, MN, as part of the IAM Midwest Territory’s “IAM H.E.L.P.S. in the Community” program. Members of IAM Local 1030 in Winona, MN and District 66 of La Crosse, WI recently rolled up their sleeves to help provide a warm home-cooked meal for the less fortunate in their community. Union volunteers, along with their families, gathered at Central Lutheran Church in Winona to serve more than 50 elderly and low-income residents. The effort was a part of District 66’s “IAM H.E.L.P.S. in the Community” program, an IAM Midwest Territory initiative to provide continuing essential support to residents in need. In addition to serving, Local Lodge 1030 members also raised more than $500 in donations for the cause. H.E.L.P.S. stands for Honoring, Engaging, Lifting, Providing and Servicing.